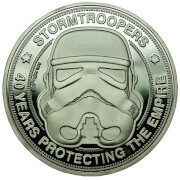 In the upcoming epic blockbuster, Star Wars: The Force Awakens, the First Order has enlisted Stormtroopers equipped with sleek armour and powerful weapons to enforce its will across the galaxy. Hot Toys are thrilled to expand the First Order army once again and officially introduce the new sixth scale First Order Stormtrooper Officer and Stormtrooper Collectible Figures Set. 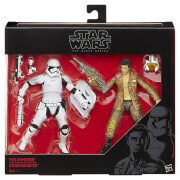 The highly-accurate collectible figures are specially crafted based on the image of the First Order Stormtrooper and Stormtrooper Officer in Star Wars: The Force Awakens. 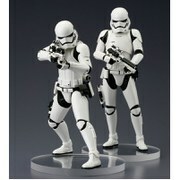 The two troopers are equipped with sleekly designed Stormtrooper armour and helmets and are two different body heights. The First Order Stormtrooper Officer stands approximately 30cm tall and is armed with a blaster rifle with extended stock, a pair of articulated binoculars, and a red colour pauldron that indicates the rank of Officer while the First Order Stormtrooper stands approximately 29cm tall and is armed with a blaster rifle and blaster pistol. A sixth scale Mouse Droid is also included exclusively in this collectible set! Don't miss the chance to recruit more First Order Stormtroopers to your growing collection today!